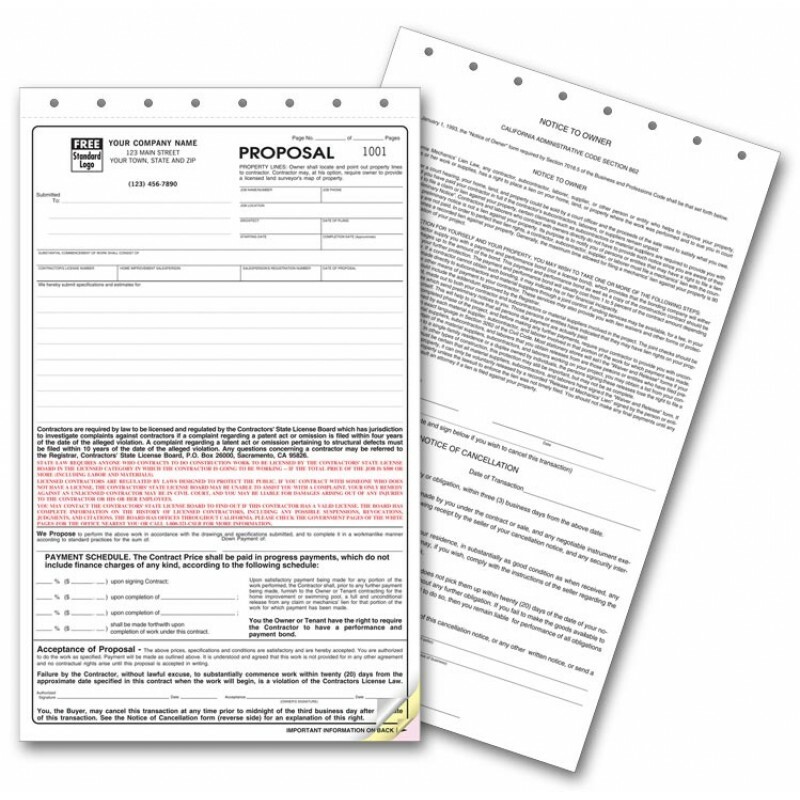 California State Contract Proposal Forms 5550 At Print EZ. California State Contract Proposal Forms Item No. 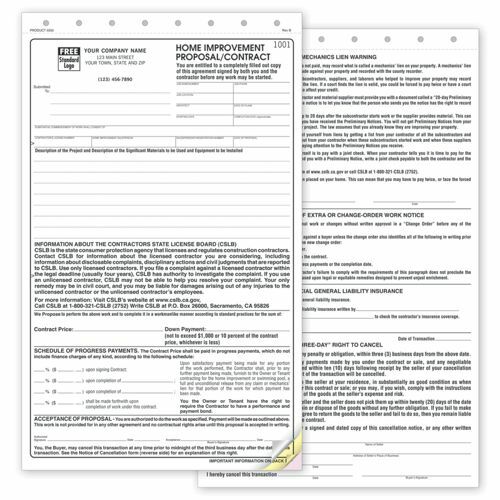 5550 Size: 8 1/2" x 13 1/4"
If you are in the service industry and take up jobs on contract basis in California, you will find these proposal forms extremely convenient. In fact, they will save you a lot of trouble later on as these forms have enough space for contract terms as well as whatever you are legally required to convey to your customers. These snap sets of three forms are printed on superior quality carbonless stock for crystal clear prints. Hand over the first copy to the customer and the second to employee or the team you will assign the job to once the proposal has been accepted. The third copy is for the accounts department for raising the invoice and for record purposes on completion of the job.